1. DESCRIPTION: The CYT8S is an ASK Hybrid transmitter module. 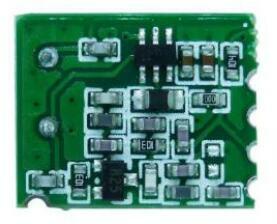 The CYT8S is an SMD type transmitter module. The result is excellent performance and it is easy-to-use. The CYT8S is designed specifically for remote-control, car alarm system and other wireless applications. The range can be up to 500m when matching with CY11.